Take control of your music and play it in any room of your home. Our multi room music systems means you can listen to your own music library, internet radio or on demand music in any room of your home, and even outside! We offer in-wall controllers as well as hand held options. You can even control the music in your home from your smartphone. 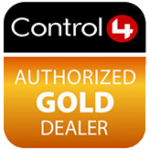 Check out Sonos, Control4 and Nuvo products just as a start. Gain access to your entire DVD and Music library and stream it around your home in High Definition from your own Media Server. Our systems allow maximum flexibility and allow multiple users access to your media. With the cover art displayed beautifully on screen, you can effortlessly browse and play your favourite films, music and even view your photo library. Media Servers allow users to simultaneously view different content in different rooms all at the same time. If your building a media room or dedicated home theatre, you should definately consider the addition of a media centre to enhance your viewing experience.